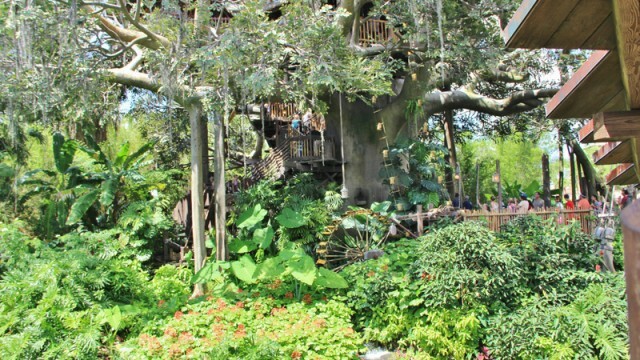 12) Swiss Family Treehouse – The Magic Kingdom is one of the most popular theme parks in the world and guests are sure to love enjoying the many amazing attractions that can be found there. Adventureland in particular is home to popular options such as the Jungle Cruise or Pirates of the Caribbean, but it also has its fair share of underrated experiences that shouldn’t be missed. When the crowds are heavy in Adventureland, guests should head to the Swiss Family Treehouse, found just across the main bridge from the hub on the left hand side. This attraction is a walking based experience where guests can venture into the home created by the Robinson family at their own pace. The story goes that the family was shipwrecked on an island after their ship was destroyed and they had to be inventive in using items from the island to create their comfortable and family friendly new home perched high in a massive tree. Guests can climb a few flights of stairs to explore the different areas of the family’s home including the kitchen and bedrooms and marvel at the creativity of the family and how they managed to make it feel like a home. The Swiss Family Treehouse is a great option for guests to enjoy when Adventureland is crowded as it is both entertaining and offers a bird’s eye view of the Magic Kingdom from the top!